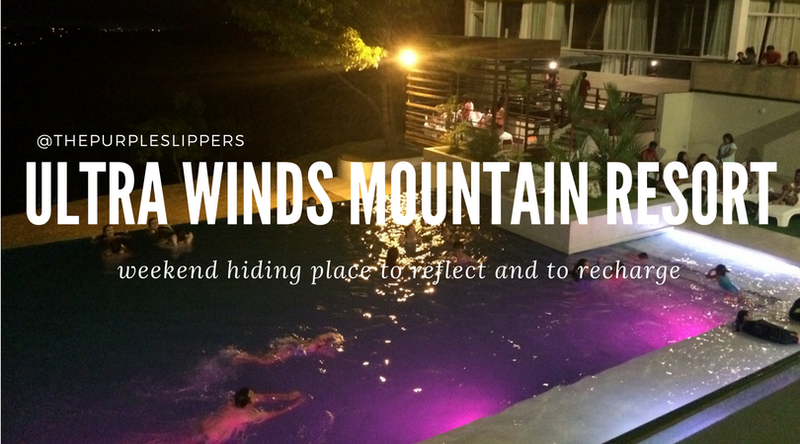 Ultra Winds Mountain Resort is one of the accommodation resorts in Cagayan de Oro City that I have been eyeing for the past months. I was so curious about their infinity pool. Their Agoda listing looks so cute, and the rates were inviting too. Good thing the companies anniversary was booked at Ultra Winds Mountain Resort. The room that we got is quite big for two. We were booked in a Premium Suite Room (2,900). It has approximately 30 sqm room with a view. The bed is really comfy, or I was just too tired that I snored myself to sleep. (Lol) Ladymie, my roommate, and our lovely secretary were laughing out loud hearing me snore. Ahahahaha Oh well, at least I had a good night sleep, or mor-night rather since it was already 3 am. You will have a beautiful view of the Macajalar Bay and the view of the Uptown subdivisions in Cagayan de Oro City. It is both beautiful whether you come during daytime or night time. Accommodations at Ultra Winds Mountain Resort comes with a free Breakfast for two (2). You need to claim the meal stubs at the front desk upon check-in. Without the meal stubs, meals will not be honored. Should there be additional people in your room, you may place an order for extra people. We were waiting for the hammer to bring us to the city, but to our surprise, they canceled the trip without notifying us ahead, So we have to take our lunch already since it's already late. We ordered food for 4 pax. The food prices are really pricey. We requested for the food to be delivered to our room. So they set up a table in our room and brought the meals there. The meals had to be transported up so when it arrived the presentation is already messed up (lol). The food is okay though, but pricey for its size and its price. Ultra Winds Mountain Resort has this iconic infinity pool that is facing the Macajalar Bay. It has a breathtaking view in the morning and a romantic scene at night. I heard a lot of horror customer service stories in Ultra Winds Mountain Resort before booking this room. I am here for the Leuterio Realty Anniversary, and I'm booked with the secretaries since I don't have a place in CDO and it would be too late for me to travel back to Iligan City after the party. I have read in reviews that they have a bad customer service experience in Ultra Winds Mountain Resort, so far in our case, we had a pleasant one. But it is true that there is no staff other than the front desk stays in the resort at night time. In regular days Resort staff and attendants are only available until 9 PM. All of them goes home which means they are all stay out. So if you need food or something in the middle of the night, you can't find any. So better stock on food and drinks and bring emergency kits and medicines should you need one during your stay. The resort staff will be back at 7 AM, and that's the time you can avail of room services if you wish. Breakfast is served in their restaurant, you may want to have it served in your room too. Going up and going down the resort, if you don't have your own reliable vehicle, you can avail their transport services for a fee. It has a scheduled pick up time. To avail, you have to inform the front desk ahead of time, or request for a taxi to go up the resort with additional plug down fee of 200 pesos. Disclosure: The accommodation was paid for by Filipino Homes. All opinions expressed in the post are my own and not those of Filipino Homes. This is not a sponsored post for Ultra Winds Mountain Resort.